Brothers Of The Stone – The Awakening (OFFICIAL VIDEO) – OUT NOW! Brand new Official video for ‘The Awakening’, lifted from the Brothers Of The Stone album which is OUT NOW on High Focus Records. 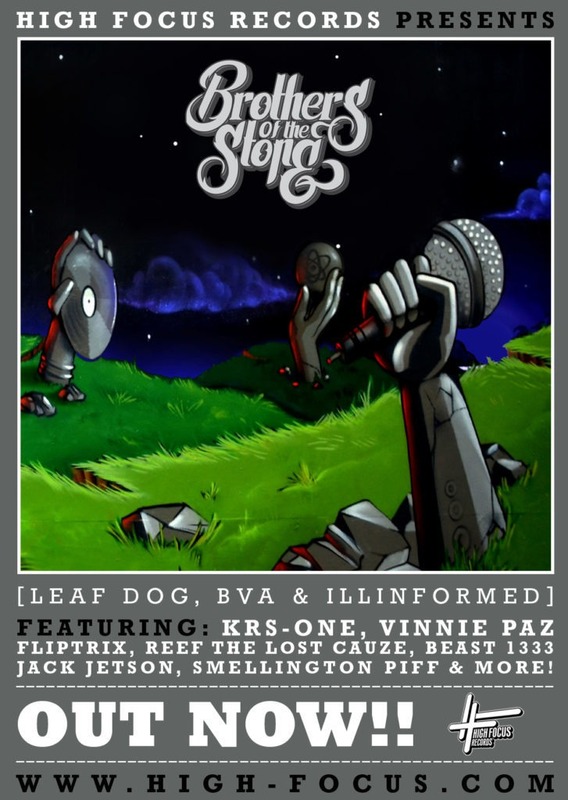 Brothers Of The Stone are Leaf Dog, BVA with Illinformed on production! The album features Reef The Lost Cauze, Vinnie Paz, KRS-One, Fliptrix, Beast 1333, Smellington Piff, Eric The Red, Tommy Dockerz, Jack Jetson & DJ Sammy B-Side!